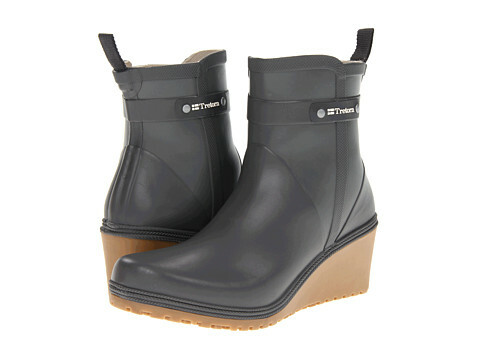 This is a great alternative to the classic rain boot. The wedge gives arch support and the platform and heel keep you above the puddles. 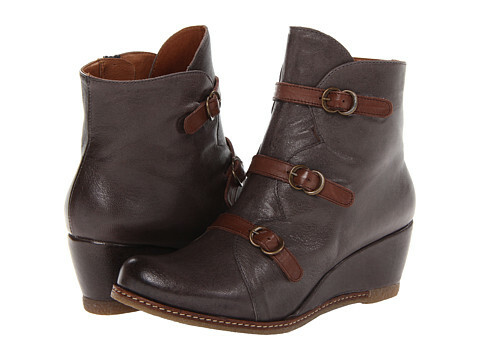 This bootie has good reviews in comfort and the straps adjust for wide or narrow feet. Yes these are a bit expensive. The brand is iconic and makes amazing clogs!